As a way to give back to the architectural and design community who support our efforts and products, The Focus Green Group is proud to host an exclusive, by invitation only, CEU Workshop explaining the benefits of BIFMA “level” and how it differs from other EcoLabels. This workshop offers Certificates of Completion for 1 CEU credit for GBCI, and for .1 CEU credits for IDCEC. “level” is a multi-attribute, sustainability standard that takes into account a company’s: social actions, energy usage, material selection, and human and ecosystem health impacts. It addresses how a product is sustainable from multiple perspectives. The Focus Green Group is comprised of ten leading commercial interiors suppliers: Advent Systems, Blueridge Carpet, CF Stinson, Contract Source Group, Fashion Wallcoverings, Forbo Flooring Systems, Panolam Industries, Telcom Corporation, Unified Communications and Virginia Tile. “level” was created to deliver the most open and transparent means of evaluating and communicating the environmental and social impacts of furniture products going into offices, institutions and other buildings. 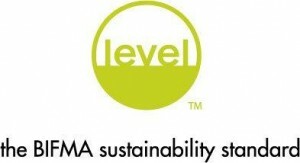 The “level” name and mark is awarded based on performance against a variety of sustainability assessment criteria. BIFMA is a not-for-profit organization that provides an effective forum for members to cooperate and collaborate on appropriate industry issues. As an ANSI accredited standards developer, BIFMA develops voluntary product and industry standards that support safe, healthy and sustainable work environments. It is essential that interior design professionals and furniture dealers pay attention to the latest developments in EcoLabeling – or they risk being left out of a significant opportunity! Single-criteria labels do not guarantee an overall green product because they don’t address environmental trade-offs. Multi-criteria EcoLabels like “level” represent significant progress toward an overall greener product. Navigate the large number of EcoLabels and market your green business while reducing your impact on the environment. In addition to attending the levels course, please join us for a networking reception before and after the course. Vendors and reps from several leading commercial interiors suppliers will be available to offer information on their “green” products and businesses. You must RSVP by July 6th to participate in this exclusive CEU course. 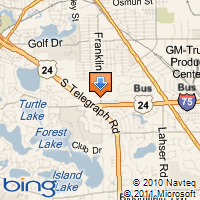 We look forward to seeing you at FOCUS | green! Jed McKie is an Environmental Specialist with Spec Furniture; manufacturers of contract and institutional furniture. 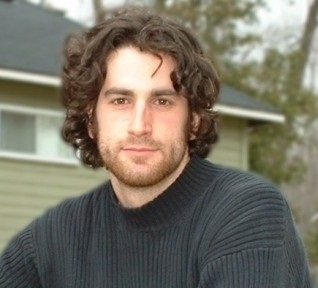 Jed works within the Spec Design / Engineering Team, is LEED AP and is a "level" CEU Certified Instructor. He manages Spec's "level" and ISO 14001 Environmental Management System certifications. Attending his CEU will biring you up to speed on the future of environmental certifications. This course is GBCI and IDCEC certified for CEU credits.